Please share this article with others using the link. 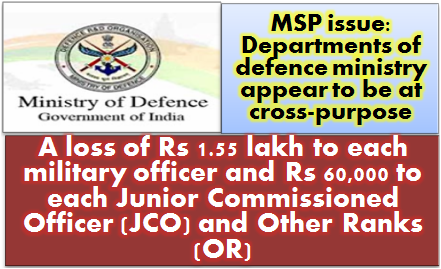 7th CPC latest news, 7th Pay Commission, 7th CPC, the MSP was to be counted as pay for purpose of computation of dearness allowances and pension in place of Rank, Pay and Compensation for edge in pay. It was treated as pay for all purpose, except for calculation of annual increment.